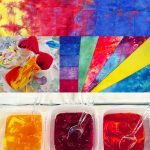 Learn dyeing basics as well as color mixing, blending, and how colors relate and influence each other. 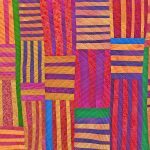 You’ll come away with a better understanding of color and a stack of your own hand-dyed fabrics you can use for any of your quiltmaking projects. Beginner friendly / No experience needed. If you have dyed fabric before, this class will expand your knowledge of working with Procion MX dyes. Bring an apron and/or wear old clothes. All Levels. No previous dyeing experience required. Supply fee may be required. Book Recommended: Fast, Fun & Easy Fabric Dyeing – $19.95 (POD) or $11.95 (eBook ) from CTPub.com. Shibori is a method of dyeing fabric based on traditional Japanese resist techniques. Explore various methods including pole-wrapping, clamping, folding, twisting, and stitching to create complex and dynamic fabric. Bring an apron and/or wear old clothes. All Levels, No previous dyeing experience required. Supply fee may be required. 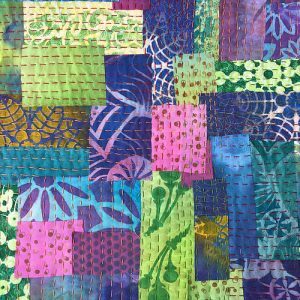 This class explores easy ways to create unique patterns and textures with dyes using techniques such as painting with thickened dyes, monoprinting, rag rollers, and more. Bring an apron and/or wear old clothes. Fast, Fun & Easy Fabric Dyeing book is required and is available as an electronic download or print on demand from C&T Publishing. Required Book: Fast, Fun & Easy Fabric Dyeing – $9.99 (eBook) or $19.95 (Print On Demand). Supply fee may be required. All Levels, Technique Class Learn to dye fabric using a variety of water-soluble resists such as soy wax, flour paste, sugar, gel glue, oatmeal, and more. Water-soluble resists are easy to use and wash out with hot water. 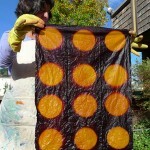 You’ll have two days to dye, over-dye, and play with an infinite variety of colors and patterns. If you have been wanting to try out these techniques, but don’t know where to start, this is the perfect class for you. Bring an apron and/or wear old clothes. 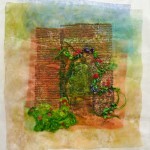 Recommended Book: Visual Texture on Fabric by Lisa Kerpoe : $24.95. Supply fee required for resists and other suppliles. 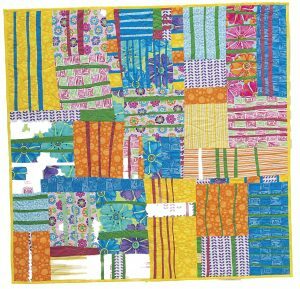 Kawandi and Kantha quilts come from different areas of India but share the common use of scrappy fabrics layered and held together with big stitches. Choose your style of quilt then arrange and stitch. In the process, learn a bit about the history of these quilting styles. The hand stitching in this class is big, fun, and easy–no precision here. Don’t worry if you don’t have the “right” fabrics—in the morning you’ll paint an assortment of fabrics to create your own prints and pattered fabrics and in the afternoon create a small quilt (about 18” x 18”) that you can hang on the wall, frame, or make into a pillow or tote bag. Bring an apron and/or wear old clothes. Materials fee covers paints and other supplies to use in class. Want to try some easy Japanese-style stitching? Don’t have the right fabric or supplies? 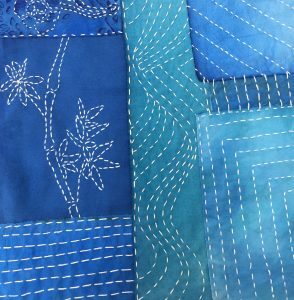 Don’t worry—in the morning we’ll paint an assortment of fabrics and in the afternoon get started on a small quilt (about 18” x 18”) using traditional Japanese boro and sashiko hand stitching. Hang on the wall, frame, make into a pillow, or use as appliqué on clothing. If you aren’t sure what boro and sashiko are, do a quick google online and you’ll see lots of examples. Bring an apron and/or wear old clothes. 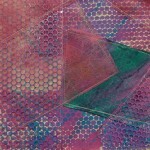 Create your own prints and solids, then use them in an improv style quilt! 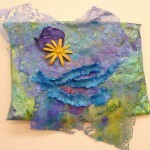 In the morning you’ll create your own fabric with paints, stamps, stencils, and more. In the afternoon, machine piece your version of the Pickup Sticks quilt. Pull out those “what was I thinking?” and the “I really don’t like this anymore” fabrics and learn how to transform them with fabric paints. In the morning you’ll create your own fabric designs with paint, stencils, stamps, and more. 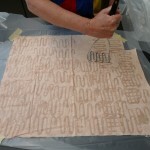 In the afternoon, sew a small quilt using those painted fabrics. Along the way you’ll be learning about color and design. Bring an apron and/or wear old clothes and/or wear old clothes. Fabric and paper have their own unique looks—combine them to take advantage of each. Even simple tissue paper or old book pages can add a unique look and texture to a collage. In the morning you’ll create your own color and designs on fabric and paper with paint, stencils, stamps, and more. 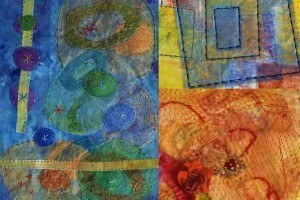 In the afternoon, make a small collage quilt using those painted fabrics and papers. Along the way you’ll be learning about color and design. Materials fee covers paints and other supplies to use in class. Wear apron or old clothes. 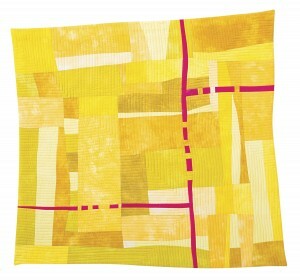 Pick a color and use free-form/improvisational piecing to create a small quilt top. Then slash through it to add a pop of color. Learn and use free-piecing techniques for straight line and easy curved seams. Bring a variety of fabrics making sure you have a variety of lights, mediums, and darks. Paint a variety of surfaces and fibers including silk (fabric, roving, rods, cocoons), Lutradur, fast2fuse / Timtex, Shapeflex, Spundbond, mul•tex, and kraft•tex paper/fiber. 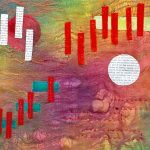 Learn about the different materials and take advantage of their unique textures, then use them to create a fiber collage. All levels. Supply fee required, includes surfaces and fiber materials for class plus paints, inks, and other art supplies to use in class. Paint a variety of translucent surfaces and fibers including Lutradur, Spundbond, mul•tex, and more then use your painted surfaces to create a dynamic fiber collage. 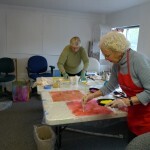 We’ll also talk about color, color mixing, and collage composition. Pick your fibers then pick your project. Make a fiber collage, journal cover, fiber box, or other project using a variety of neutral-colored fibers and fabrics including Kraft•tex™ paper/fiber, silk (fabric, roving, rods, cocoons), Lutradur, bamboo blend batting, fast2fuse / Timtex, Shapeflex, Spundbond, and Mul•tex. Sewing machine required. Pick your fibers then pick your project. 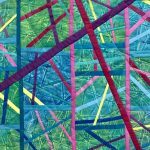 Make a fiber collage, journal cover, fiber box, or other project using a variety of neutral-colored fibers and fabrics including silk (fabric, roving, rods, cocoons), Lutradur, bamboo blend batting, fast2fuse / Timtex, Shapeflex, Spundbond, and mul•tex. Learn about the different materials and take advantage of their unique textures. 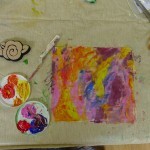 Learn to create your own one-of-a-kind fabric with fabric painting. This class will teach you everything you need to get started, and then move onto more advanced techniques. 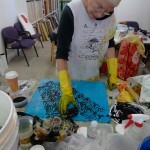 Color mixing and blending, sunprints, fabric manipulation to create textures, mono-printing, and more will be covered. No Painting or drawing experience needed. All levels. Supply fee required, includes paints and other supplies. Go beyond typical washes of color and express yourself with bold strokes and unique textures to create one-of-a-kind fabric. Possibilities range from subtle to bold, with layers of color and texture. No Painting or drawing experience needed. Come and play with an assortment of surface design products including: acrylic paints, inks, and mediums. Inktense Ink Pencils, Lutradur, TAP (Transfer Artist Paper), Iridescent Paintstiks, Spectra Bleeding Art Tissue, and foils. You get to play, and try things out, with as much or as little instruction as you’d like. 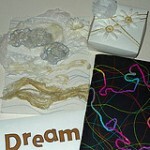 Make a project, make a gift, create fabric for something you have in mind, or just experiment. If you have supplies you’ve been wanting to try, bring them along. All levels. Supply fee required, includes paints, surfaces, and other supplies.